Do Moralists Make Bad Novelists? A few days ago, in the New York Times, Alice Gregory wrote a short piece on the question, “do moralists make bad novelists?” I commend the article to you, not because I necessarily agree with it, but because it’s a well-expressed and thoughtful answer to the question. In short, she argued that there are two kinds of moralists: didactic moralists and ambivalent moralists. Didactic moralists are those who write pamphlets disguised as novels, while ambivalent moralists are those who deal with moral questions without forcing them into a novel. I find the distinction helpful, but I want to suggest an additional nuance. Andrew Peterson, speaking a few years ago at a conference, talked about a particular way to read the Bible. Before searching for a lesson in a Biblical story, he argued, we should let the story be a story. Let the reality of what we just heard sink in. That God split a sea in two, that a blind man saw again, that a dead man came back to life. These are miraculous realities. They contain a lesson, but they are realities nonetheless. If by this she means that moral lessons ought not be crammed into novels where they don’t fit, I agree. However, a bit later, Gregory throws a wrench in this understanding. If we take Flannery O’Connor’s advice, however, that distinction might run into some trouble. O’Connor says that, “for the writer of fiction, everything has its testing point in the eye.” If I understand her correctly, she means that the writer must first observe before he writes. He must write about real people, and real worlds. That’s not to say that a writer can’t write fantasy, but that fantasy must be believable. In some sense, it has to be real. Stories must begin by expressing something concrete, not abstract, like an idea. This leads to Gregory’s point about “moral content.” If we’re writing about concrete things, like actions, we’re going to write about morality because many concrete things carry a moral value. Stealing a cookie from the cookie jar is an action, but it is not a mere action. It is a wrong action. Portraying it as a wrong action is a moral judgement, even though it’s a commonly accepted moral judgement. This makes me wonder if writing about reality without making moral judgements is, in fact, not writing about reality. Gregory’s distinction may be helpful, but I’m not sure her assertion that novels are an escape from judgement is workable. If we are to have “moral content,” it seems we must make moral judgements. It would simply be dishonest to portray, say, an attempt to slander a friend as amoral simply because we don’t want to make a judgement. Again, I’m not sure that Gregory is arguing against this–there are some comments in her article, however, that make me wonder if she is. “Your beliefs will be the light by which you see, but they will not be what you see and they will not be a substitute for seeing. Whenever I need a good laugh, if I don’t have a funny book close at hand, I tend to go take a look at one-star reviews of classics on Amazon. And boy, are they funny. The most humorous are the dogmatic ones that apparently have discovered the true quality of any given classic, contrary to the majority of thought on the subject. But whenever I look at these I’m always left slightly sad, at the same time as being amused. The attitude taken by many reviewers, and sadly, on occasion, myself, is that the quality of a book is up to the reviewer. They are the ultimate arbiters of all that is good in the world of fiction. They are the ones who have the experience and taste to discern the good from the bad. It makes me wonder why we don’t accept that, in all likelihood, classics probably have something that makes them worth reading. I think it might be appropriate, here, to point out several of the most enjoyable examples of this dogmatism. There’s just a small sampling (and if you want more, this post provides a very nice collection of negative reviews of Fahrenheit 451) here, but enough to give you the picture. I find them amusing, but as I’ve already mentioned, also extremely sad. So again I ask, why do people refuse to accept that a classic may contain something that they just haven’t seen? I should pause here, and point out that I am by no means completely excused from this fault. I have to remind myself constantly that the value and quality of a classic is not up to me. These types of posts are a way I remind myself, and hopefully get the thought out there. I’ve written about this before, on why you should give a book a chance, but I want to elaborate on that. See, what I wrote about there had more to do with the approach one takes to a book, rather than what happens after one has finished that book. While I still do hold to what I wrote there–that it’s important to approach a story humbly–I want to say something else regarding our thinking about classics after we’ve read them. And to write about this, I need the help of W.H. Auden. Auden divided books up into five categories that my English teacher introduced me to, and I find incredibly helpful. 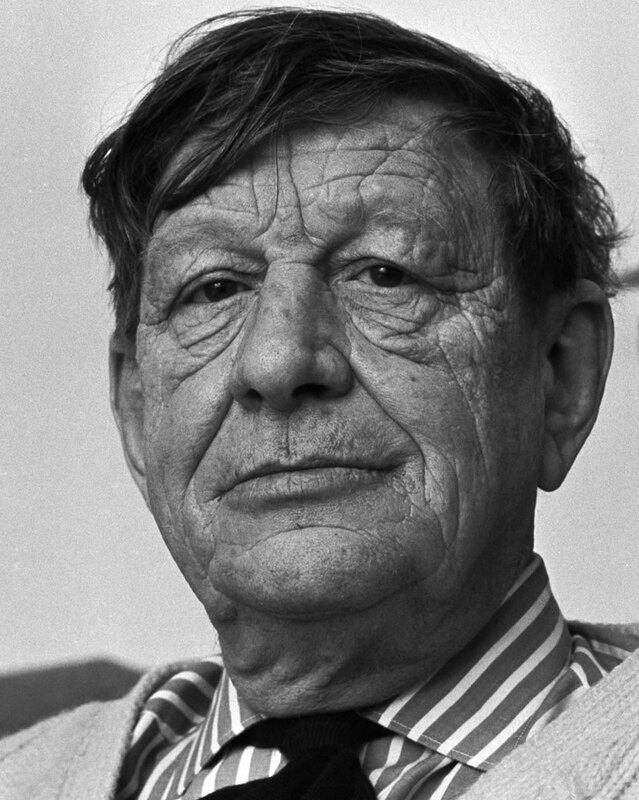 Auden suggested that when we review books we divide them up into five categories: good books we don’t like, good books we like, books we neither like nor dislike, bad books we like, and bad books we don’t like. The reason I’ve found this scale to be a helpful way to view books is because it allows for several things. First, it allows the reader to recognize that a book is good, but they simply did not enjoy it. This takes the humble approach to literature, and extends it to when we are reflecting on literature. Instead of judging our own personal tastes as the ultimate arbiter of everything good, it ensures that we view classics in what is probably a better light. Sure, no one is demanding that you love every book ever considered a classic. I’m not a huge fan of Pride and Prejudice, and probably wouldn’t willingly choose to read it again. But that doesn’t mean that Pride and Prejudice isn’t a classic, or that it’s “less good,” if you will, than other classics. All it means is that I don’t care for it. And perhaps this is what the one-star reviewers are missing. Because what Auden does, fundamentally, is separate the objective quality of a book with someone’s subjective experience of that book. Our experience of a book doesn’t determine it’s quality, and neither does the quality of a book necessarily determine our experience (though it often does). Ultimately, what Auden’s scale seems to do is allow a better conversation occur surrounding any given book. Instead of a battle over the quality of a classic, it might be more beneficial to have a discussion about a certain person’s taste, or why they didn’t enjoy the book. And perhaps, along the way, someone will discover that they actually did really enjoy a classic. That’s happened to me several times, where I walked into a class either disliking or apathetic about a classic we had just read, and after the class, after discussing the book and what it means, I saw what the book had to offer and truly began to enjoy it. But note, the book did not become a good book when I started to enjoy it. Classics don’t need my affirmation. Maybe that’s what it boils down to, then. Classics stand by themselves, it is our enjoyment of them that can change. So, to all the one-star Amazon reviewers, I’d like to request that next time you sit down to write a scathing review of a classic that contradicts the majority of thought on said subject, and provides fodder for posts like these, do one thing. Take a step back. And give the book a chance. In Romans 1:18, the Apostle Paul makes a universal–and quite startling–statement. He speaks of those who lack belief in God, and challenges an assertion often made by them. Many believe that atheists simply lack a particular belief. To put it differently, they believe in nothing. What Paul says is that atheists are a myth. There is no one who doesn’t believe in God. Paul tells us that all men, regardless of their stated beliefs, know God exists. According to Paul, people simply suppress this truth. But Paul doesn’t just stop there, instead going on to say that those who suppress the truth “exchange the truth about God for a lie.” In other words, people do not simply lack a belief in God–they replace that belief with something else. 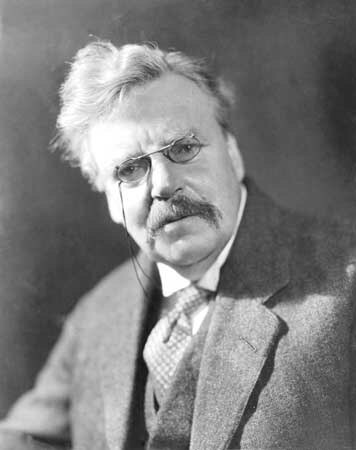 English journalist and philosopher G.K. Chesterton got at this same point when he said, “When people stop believing in God, they won’t believe in nothing, they’ll believe in anything.” In other words, when people suppress the truth of God they don’t just forget about it, rather they replace it with something else–they replace it with a lie. 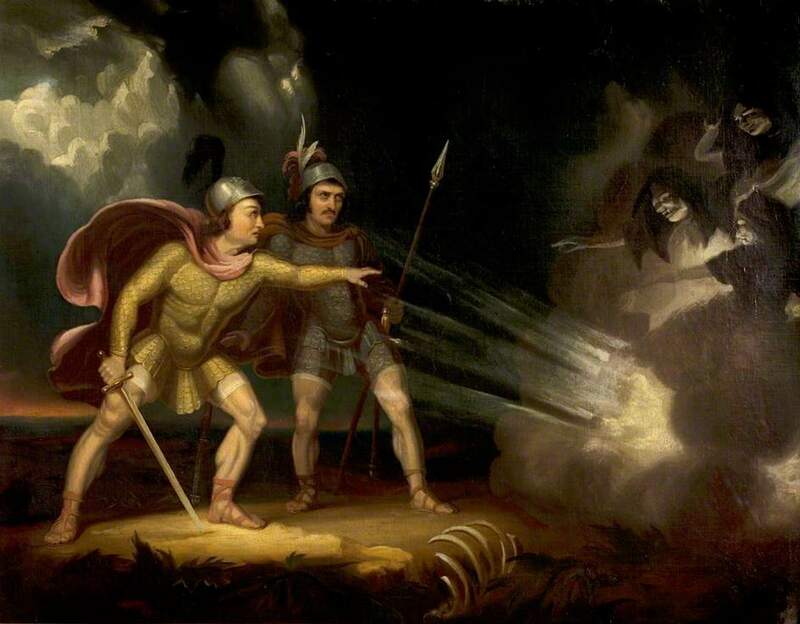 Frankenstein, by Mary Shelley, and The Strange Case of Dr. Jekyll and Mr. Hyde, by Robert Louis Stevenson I believe show their main characters displaying much of the same behavior that Paul talks about in Romans 1. Specifically, these two literary works deal with the concept of self-deception. Though they approach the subject in slightly different ways, it seems that the theme is quite obvious. Frankenstein’s self-deception is blatant, ultimately leading to the destruction of his happiness and the lives of everyone around him. Dr. Jekyll’s self deception is subtler, and played out on a smaller and more intimate scale. But Dr. Jekyll’s self-deception leads to the same thing that Frankenstein’s does: it leads to his own destruction. I believe these two works show us different aspects of the concept of self-deception, as well as different consequences of it. Ultimately what ends up happening, I believe, is that both stories affirm Chesterton’s words, though slightly augmented. When people stop believing in the truth, it’s not that they believe in nothing. When people stop believing in truth, they will believe in anything. Before we examine self-deception in light of these two works, a definition of self-deception is needed. Collins English Dictionary defines self-deception as, “the act or an instance of deceiving oneself, especially as to the true nature of one’s feelings or motives.” Only a few comments are needed on this definition. First, even though Collins Dictionary explicitly states that self-deception often concerns emotions or motives, this is not the only type of self-deception. Rather, one can deceive oneself as to just about anything, which is what the first part of the definition gets at. The second thing that needs to be said is that the definition makes clear that this is a willful action. Self-deception is an act perpetrated by the self-deceiver. Those who lie to themselves do not do so accidentally–rather it is a definite and specific act of believing in a false reality. With an understanding of self-deception set, seeing it in Frankenstein and The Strange Case of Dr. Jekyll and Mr. Hyde should be fairly easy. Let’s start with Frankenstein, primarily because the self-deception is blatant, as I said before. Frankenstein’s plot is well-known: Frankenstein, an obsessive scientist creates a creature, then rejects that creature. The creature runs off, seeking to integrate himself into the world. But everywhere he turns he meets only sorrow and hatred–people do not accept him in the least. The anger and vitriol begins to build, until finally the creature goes on a murderous rampage, killing all of Frankenstein’s closest friends. Where does the self-deception come in? It begins, I believe, when the first murder occurs. Frankenstein receives a letter telling him that his nephew William has been killed, and immediately sets out to go comfort his family. But on the way there, Frankenstein sees the creature and realizes that he must have killed William. Immediately the self-deception begins. Frankenstein is sorrowful that he created the monster, bemoaning the sadness it has brought him. When Justine, a good friend of Frankenstein’s family, is framed by the monster the sorrow only increases. The guilt piles up, but even here Frankenstein refuses to face reality. Though he is sad he created the beast, he fails to recognize that he is directly responsible for both William’s death and Justine’s conviction. His rejection of his own creation started the monster on a trajectory of murder and destruction. But throughout the story, as the bodies pile up, Frankenstein still refuses to accept this. The deception is subtle, but it is most certainly there. Instead of taking the blame for the murders, Frankenstein shifts it to the monster. When he meets the creature in the mountains he reviles him, going on and on about how evil the creature is. The blame is no longer on Frankenstein–the murders aren’t his fault, they are the monster’s fault. Now to be sure, Frankenstein feels guilty for creating the creature but there is never an acknowledgement that it was his ambition–his obsessive drive to control life–that led to the death of his nephew, his friends, his father, and even his wife. All that is the monster’s fault. Where does this leave Frankenstein at the end? At the end of the book Frankenstein is alone and lost. His obsession is still there, though it is reversed. Now he is obsessed with destroying the creature, but he still has failed to take the blame on himself. He believes that justice will be served with the death of the creature because he believes that all the murders are directly and solely the fault of the creature. He does not consider that he may have acted unjustly himself. His self-deception has left him destitute and tormented by grief. The Strange Case of Dr. Jekyll and Mr. Hyde, like I said, plays this self-deception out on a smaller scale. Due to the unconventional nature of the story structure, the deception only becomes obvious at the end. When Dr. Jekyll discovers a way to split his personality, incarnating all that is evil in him in the person of Mr. Hyde, he believes he can control it. After all, Jekyll reasons, Mr. Hyde will only appear when I take the concoction, and he will disappear in a definite amount of time. Slowly, however, Mr. Hyde begins to take over. This, of course, relays a more conventional message: playing with evil is like playing with fire–someone is going to get burned. But I also believe it touches on something else. Dr. Jekyll, despite the slow loss of control the audience sees going on, still believes he can control Mr. Hyde. He tells himself over and over again that he is in control. Of course, this is all a lie. 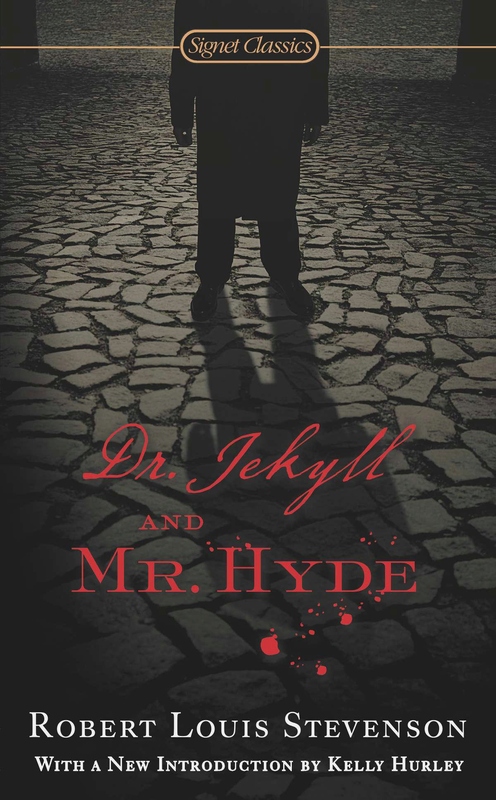 Mr. Hyde eventually completely takes over leading to the death of Dr. Jekyll. Jekyll played with fire and deceived himself into thinking he was immune to the heat. But deception is just deception, and eventually he was burned. It’s a tragic ending, but perhaps an inevitable one. Reflecting on self-deception as displayed in these two works brings something interesting to light. It seems that Frankenstein displays an outward self-deception, while The Strange Case of Dr. Jekyll and Mr. Hyde displays an inward self-deception. What I mean by this is that Frankenstein deceives himself about the true nature of events going on around him. He forces himself to believe that the murders occurring are not his fault. Dr. Jekyll, however, deceives himself about his own nature and his own power. Instead of feeding himself a false reality about the reason and motive for events going on around him, he tells himself a story about his own abilities and desires. Frankenstein lies about the world around him. Dr. Jekyll lies about himself. I do not believe it is necessary to ask the question as to which is worse. In fact, I believe doing so would miss the point entirely. Self-deception is dangerous and destructive. Whether that destruction touches everyone around us, or whether it simply wrecks ourselves can differ from scenario to scenario. But what these two works say loud and clear is that reality needs to be recognized, and when it isn’t Chesterton is right. Frankenstein tells us that failing to recognize reality as it pertains to our own culpability doesn’t lead to us simply having no opinion as to who is culpable–it leads to us blaming the wrong person. The Strange Case of Dr. Jekyll and Mr. Hyde tells us that failing to accurately assess our own abilities doesn’t lead to us having no view of ourselves. Rather, it leads to us overestimating or underestimating who we are. And so, from this cursory examination, it seems like Chesterton was right, as he often is. When we stop believing the truth–whether that truth is about our own guilt or our own frailty–we do not believe in nothing. Instead, we believe in anything. And that may be far, far more dangerous. I’ve talked about this before a little bit, but I think it’s worth mentioning again. This past weekend I was at a debate tournament with several fascinating people. In between debates I ended up simply sitting down and talking to most of them, hearing their backgrounds, and letting them tell their stories. And once again I was reminded of the simple fact that stories are all around us. The people we walk by in, I don’t know, Wal-Mart have stories and stories–entire lives surrounding them. They’ve hurt and cried, they’ve laughed and rejoiced. People have stories richer than we could ever imagine. So often I, at least, find myself simply walking by these people. They’re just other shoppers. People who I’ll never see again, and probably won’t remember anything about them tomorrow. But they’re not. They’re real people that have had real experiences. I need to remember that. Why? My Dad will, on occasion, whenever we go to theme parks or something of the like, tell me about a game he plays. He’ll look around at the people surrounding him and make up stories about who they are, where they come from, and what they’ve experienced. Of course, he doesn’t think that these stories are really their stories, but it’s an exercise that’s always caught my attention, because it applies that basic belief: that everyone has a story. Even if we don’t know what it is, we can guess because there is one. But when we forget that, what happens? Right now in Africa there are thousands who have died due to Ebola. But how many of us simply think of them as numbers? How many of us realize that they lived lives, that they had plans? I know I have a tendency to simply think of numbers, and I need to stop. I need to remember that everyone has a history. In a sense, that’s why we write. It’s definitely not the only reason, but it’s an important one. Writing can help us see other people’s live, who they are, what they do, and why they do what they do. Which leads me to ask a question: is writing a form of empathy? I’ve talked before about how writing is thinking, and I still hold to that. But writing certainly doesn’t have to be just one thing–maybe it’s both thinking and empathy. I’m sure this has been talked about before, but this is the first time I’ve really examined it. So what do you think? Is writing a form of empathy?